New Zealand Cricket (NZC) has announced the schedule of home series against India early next year. India's tour to New Zealand in 2019 will comprise five One-Day Internationals (ODIs) and three T20 Internationals. India’s tour will kick off with an ODI on January 23 in Napier. The five-match ODI series ends on February 3 in Wellington. Following the ODIs, the two teams will lock horns in the three-match T20I series between February 06 and February 10. Interestingly, India’s tour of New Zealand 2019 will feature no Test match. Apart from the Indian men's team, New Zealand will also host India’s women’s team in three T20Is and as many ODIs. The T20Is will be double-headers, with women’s matches preceding the men’s contest. The T20Is will be played in Wellington, Auckland, and Hamilton. As per the official statement, NZC has agreed with Indian broadcaster to defer the start of all games, except the second T20I in Auckland on February 8, by one hour for Indian audiences. Indian Cricket Team Sweat It Out in the Nets Ahead of 1st Test vs England at Edgbaston, Watch Video. Apart from national teams, India’s A team will tour New Zealand as well. The India A side's visit will feature three four-dayers in Mt Maunganui, Seddon Park, and Cobham Oval, respectively, and three 50-over fixtures - all to be played at the Bay Oval. 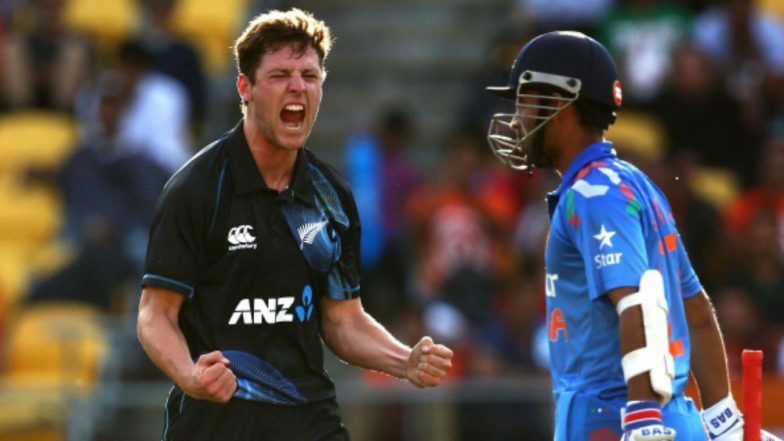 Meanwhile, NZC CEO Anthony Crummy was excited about the fact that New Zealand will host both Indian men's and women's team will visit the country. “It's exciting to have the India men's and women's team here. The men are currently ranked No.2 in ODIs and T20s and the women arrive as ICC Cricket World Cup finalists,” Anthony Crummy, NZC CEO said in a statement.